Earlier this week the alumni of the One Year Full Time MBA (EPGP) At IIM Indore received some amazing news – IIMI’s EPGP had been accredited as a full-time MBA by AMBA, UK. The sub-par branding of the course as ‘Executive Post Graduate Programme’ which suggests that the course is an Executive MBA (a part-time course) has created huge problems for graduates of the course who have had to clarify time and again that they have in fact graduated from a full-time MBA course – hardly the best conversation opener with recruiters. All this while, IIMI has accorded the same ‘MBA equivalent’ status to the pre-experience PGP and post experience EPGP courses. The separation between the two courses is important as recruiters and MBA aspirants in India alike are confused why the eligibility norms and output from two ‘MBA equivalent’ programmes is vastly different – PGP recruits freshers and creates entry level talent that joins companies as management trainees while EPGP recruits aspirants with substantial work experience (5 years+) and graduates of the course join the work force in middle and senior management roles – as graduates of any Full Time MBA, outside of India would. AMBA accreditation is the gold standard and the only accreditation service for courses (others like EQUIS accredit the institute as a whole) and all credit to IIMI’s management to have pursued this accreditation – a long standing demand of graduates of the EPGP course who wanted this accreditation to bring legitimacy to the MBA programme they had pursued. Imagine the alumni’s surprise then when we saw the announcement of AMBA accreditation on the institute’s website – IIMI skipped mentioning anything about the Full Time MBA accreditation awarded to EPGP and MBM accreditation awarded to the two-year PGP course. The announcement simply said IIM I had received AMBA Accreditation “for four of its full-time programmes – Two Year Post Graduate Programme in Management (both at Indore and Mumbai), One Year Full Time Executive Post Graduate Programme in Management (EPGP) and Five Year Integrated Programme in Management (IPM, 4th and 5th Year). Reading this, most people would assume the PGP had been accredited as an MBA and EPGP as an Executive MBA because that is how IIMI positions the courses. EPGP had been denied its hard won victory with some savvy editing of facts. Can you imagine a scenario where the Rank 1 holder and the Rank 2 holder at IIMI are both awarded a gold medal? This is exactly what has happened here. IIMI’s claim of building a meritocracy doesn’t stand after this – this is a blatant attempt to protect and prop up what is sub-par, and play down what is brilliant. 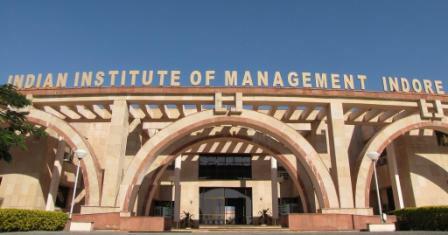 IIMI, like most other IIMs, has a long running but factually incorrect narrative of the toughest admission process in the world and the PGP being the most selective MBA course etc – this narrative, call it tradition, prejudice or mindset, seems to be the ‘unquestionable truth’ which no evidence – global rankings, news stories or accreditation seems to be able to change. AMBA says EPGP is a full-time MBA. IIMI says its an executive course! This is not the first time, we the alumni, have witnessed this mindset to deny EPGP its place in the sun. At an IIMI alumni function in Mumbai last year, the institute announced with pride that the PGP placements went well this year. The fact that in the same year, a One Year MBA graduate from IIMI had bagged the highest ever domestic salary for any course at IIMI was suppressed. In fact, there was no mention of even the average salary awarded to graduates of the EPGP course, which is significantly higher than the average salary received by PGP graduates. Visit the institute’s website and you will find the ‘placements section’ devoted purely to PGP’s placement statistics. Worst yet, you will find EPGP listed in the ‘executive education’ section. In private conversations, officials cite lower interest in the course vis.a.vis PGP, perceptions among recruiters of a tougher entrance process for PGP etc. as the reasons why they are not able to make the EPGP programme a flagship offering or highlight it in their communication. They fail to acknowledge the real reason – their own prejudice and inability to take a principled stand on this issue. This, and nothing else affects the proper positioning and marketing of the EPGP course. The One Year Full Time MBA category is well established globally (the world’s No.1 MBA is a One Year MBA) and in India. ISB in India, for instance, does a good job of positioning its one year MBA course which has been excellently received by recruiters who understand the proposition of the course because it is being explained clearly. If it was an issue about perceptions holding IIMI back, AMBA, UK’s accreditation of the course as a Full Time MBA would have been a godsend and a license to change things. Instead of using it to position EPGP and re-position PGP, IIMI has simply slipped it under the carpet. Since IIMI has saught the endorsement of AMBA, which takes time, effort and taxpayer’s money, it should now respect the accreditation awarded, communicate about it clearly and adopt the accreditation standards by awarding MBA degrees to EPGP graduates and MBM degrees to PGP graduates. Start by changing the EPGP nomenclature – there is no ‘executive’ in MBA.